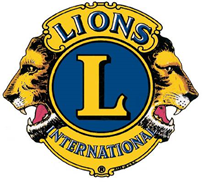  members of the world’s largest and most active service club organization.  men and women who believe that by working together they will accomplish far more than would be possible as individuals.  members committed to solving worldwide health and social problems, and who realize that solutions are possible when every Lions club does its share.  people who cherish the fellowship of their own club, but who also feel a close kinship with Lions throughout the world.  patriotic citizens of their own countries and, who, in the global community, strive for a world at peace. and in their personal lives.  people who are serious about their commitment to humanitarian service, but have fun along the way. Lions are people like you!